Q. How much will Atletico miss Ansaldi and Miranda, especially given their contribution to the team so far this season ? The defensive unit is so crucial for us, although I actually think we are better equipped this year to cope with absences than we were last year. Having seen the job Miranda did on Tévez in the first game he will be a big miss, but Giménez has been incredible since he came in and I think is more than up to the task. Ansaldi had also just began to establish himself as the starter at left-back so it’s a shame he’ll miss out, but it’s not like when Filipe got injured last year. I think we’ll be okay without them. Q. How are Juventus viewed by the Atletico supporters ? Everyone knows that Juve is one of the biggest and most successful clubs in Europe. Most fans have great respect for your history and of course legends of the game like Buffon and Pirlo. Under Simeone our style is more Italian than Spanish, so I think we see the current team quite similarly to ourselves – very well organised and well drilled, with a solid defence as the foundation. It should be a great occasion and a fantastic atmosphere. Q. Which Juventus player do you think Atletico should fear the most ? Like Atleti, I see Juve as a team rather than a group individuals, with anyone capable of being a match-winner. Pirlo missed the game in the Calderón and will make a big difference, but I think Tevez is the man we have to stop. As I said before, he was barely involved back in October but with Juve needing to attack I can’t see that being the case on Tuesday. He’s the type of player who can come up with something special completely out of nothing, and from following him since his time in England, I know he has a habit of producing big moments in big matches. Q. …and which player do you view as the weakest link in the Atletico side ? Some might look at 19 year-old Giménez as a potential weak link but not me, the kid is going to be a superstar. I’d probably have to say Guilherme Siqueira. It’s not that I don’t rate him, but defending is not his strong point and he has a tendency of making rash decisions and conceding silly fouls. We’ve lost twice in La Liga this season; against Valencia where he missed a crucial penalty, and Real Sociedad where he was sent off, and he also gave away a penalty in the Bernabéu. He was in the Benfica team that knocked Juve out of last year’s Europa League, but target him and you could get some joy. Q. 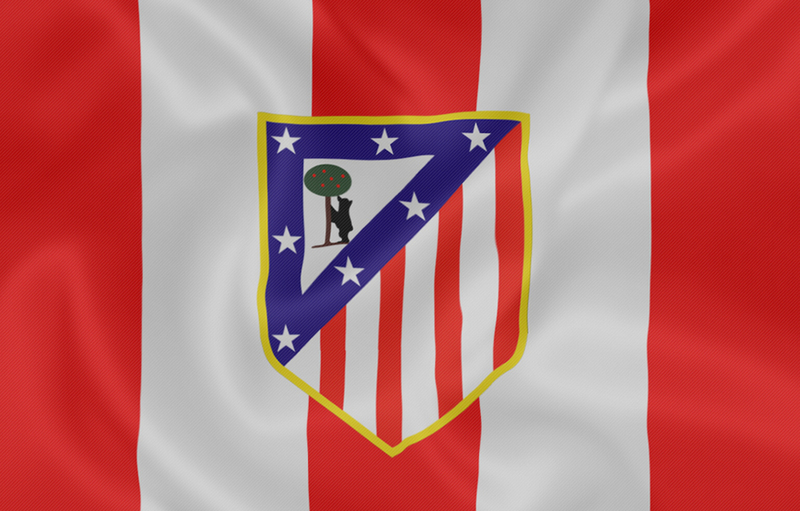 …similarly, which Juve player would you most want in the Atleti team and why ? Tevez would be fantastic under Simeone, but looking at our team and where we need improving, I would probably say Arturo Vidal. We were linked with him briefly in the summer, and although I knew it was impossible I couldn’t help but dream. He is probably the most complete midfielder in the game at the moment and would be so perfect for us. Hopefully he manages to fully recover from the injury he had and regain his best form. Torres, no doubt. Agüero was the most adored when he was here, but he disgraced himself when leaving by trying so hard to force a move across town. Torres on the other hand is one of our own, he was the shining light in one of the most difficult periods in our history and represents what Atleti is all about. Forlán, Falcao and Costa all played massive parts in some of our recent successes, but without the contributions of Torres before them I highly doubt whether any of them would’ve happened. Hopefully he’ll come back someday. Q. How do you think Atleti will lineup on the night ? I think it will be the same as in Elche on Saturday – Moyá; Juanfran, Godín, Giménez, Siqueira; Gabi, Tiago, Koke, Arda; Raúl García and Mandžukić. Personally I’d love to see Griezmann in there, but away from home he is used more as an impact sub at the moment. Mario Suárez may also play above Tiago, although most fans would rather he didn’t. The rest of the team pretty much pick themselves. Q. …and lastly, what’s your fondest Atleti Champions League memory ? I’ve been lucky enough to see a good amount of recent Champions League games live including last season’s final and the win against Juve, but the best was definitely the semi-final at Stamford Bridge. I was there with two other writers from AtléticoFans and witnessed probably the biggest performance we have produced this side of the millenium. The team was out on it’s feet in La Liga, but somehow we went there and absolutely played Chelsea off the pitch. Everything was perfect, the result, the atmosphere, even getting to see Torres score, it was a night I’ll never forget.